Leave No Trace DVD and Blu-ray release date was set for October 2, 2018 and available on Digital HD from Amazon Video and iTunes on September 25, 2018. 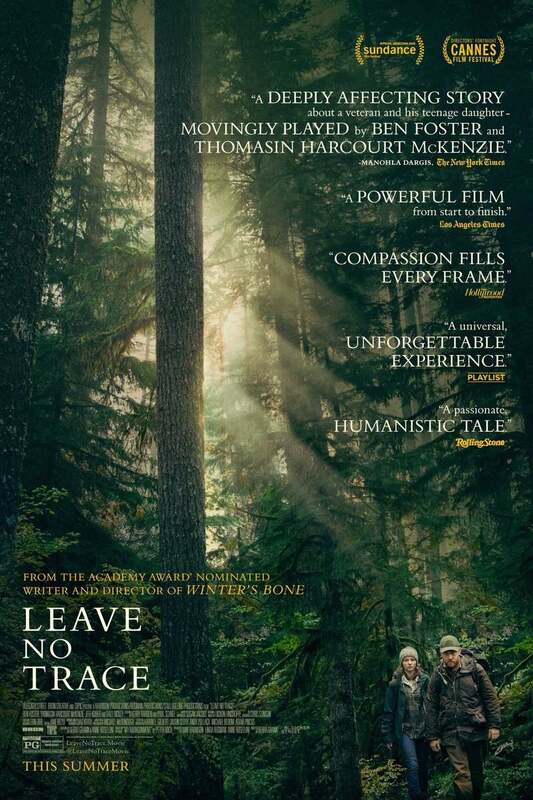 Ben Foster, a veteran suffering from PTSD, lives an isolated, off-the-grid existence in a mysterious forest outside Portland, Oregon with his young daughter, Tom. When one small mistake tips off the authorities, their lives are derailed as they are both put into the social services system. Trapped and struggling to adjust to their new surroundings, their lives change forever as they struggle to return to the wild and find a place to call home.